The message is simple; Be faster. How? 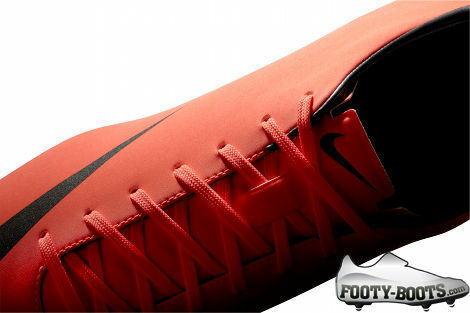 That’s the easy part – the Nike Mercurial Vapor VIII. Gone is the FlyWire, the Sense Stud and the Carbon Fibre. What remains is the purest expression of the' Nike Mercurial Vapor range since the Vapor III – and it’s quite the sight to behold! 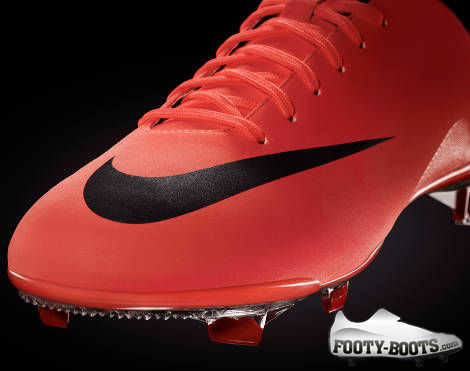 Lightning quick and lighter than ever before the Nike Vapor is back. 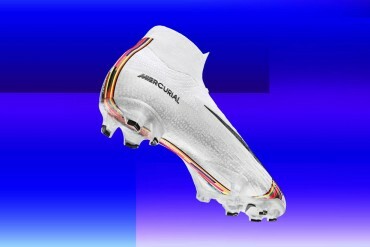 Sleek and dynamic, the way the' Nike Mercurial Vapor VIII is presented this time out completely different to it’s predecessors. 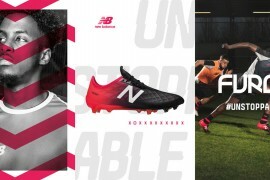 Nike say that the synthetic leather upper is super-soft, and it’s low-profile, thin structure is designed to shape to your feet to put next-to-nothing between you and the ball – a message normally reserved for a K-Leather football boot! As everyone knows, when it comes to the battle of ‘speed’ football boots, weight is key and the make-or-break of a boot can be in it’s gram count. 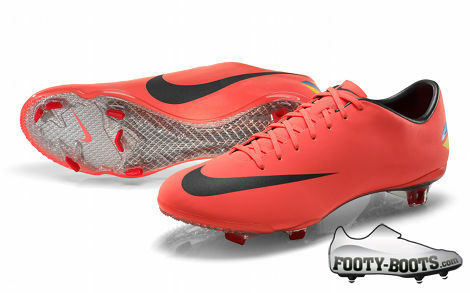 Thankfully, Nike have delivered, and are completely upfront that the two models of' Nike Mercurial Vapor VIII have a variance in weight. The firm ground model weighs only 187g, whilst the soft ground SG-PRO version also comes in an interesting 216g. With no carbon fibre on this model, Nike have opted for a full-length Tepex glass fibre soleplate, designed to offer the perfect level of lightweight structure and stability. 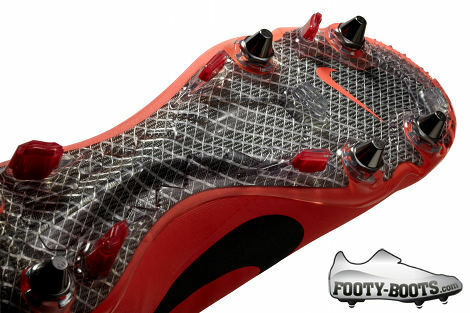 Twin studs at the back allow for a quick release from the turf and the asymmetric design of the stud configuration delivers an explosive start. Sharper blades cut through the turf, allowing for game-altering changes in direction. 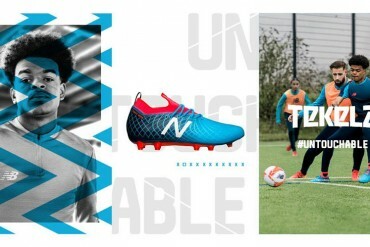 Available in Mango / Dark Grey or White / Blue at launch on April 1st, expect to see the' Nike Mercurial Vapor VIII retail for $220. Good catch, thanks Isaac – fixed now! Wow. This look wonderful. Idk if the carbon fiber or the flywire wasn’t needed, but rather, i think that a change in what the public wants from a boot has led to Nike dropping both of those from the Vapor VIII. 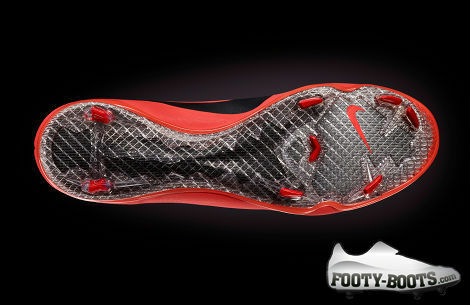 I’d say this is more like what I want in the Vapor but its still not the boot it was. the vapors WAS the first ever speed boot of it’s kind,it was there idea toÂ make the boot as low profile and as light as possible as theÂ early modelsÂ show. 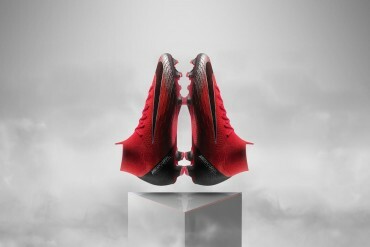 agreed with legend… Nike started the sleek, lightweight boot… hence the creation of the Vapor line. So the “new vapor” now weighs the same as the mviii?! Genius! I’ll continue to buy the iii’s thank you! If you can find them, please let us all know! 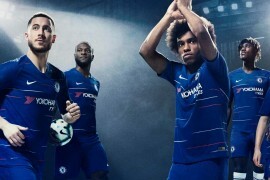 I think I might wait for the vapor 9, the design this time just doesn’t look nice and speedy, it has to have a speedish look but this just looks a bit boring. The design isÂ still the sameÂ like the past five years just that they changed the logo on the outer part of the boot smaller and the inner bigger. And these don’t make anyone faster, and most of you probably know that already I hope becuase if you believe these are going to make youÂ run faster, you need to wake up becuase there is no cleatÂ that makes you run faster, it improves your running time by a slight second but doesn’t make you any faster. 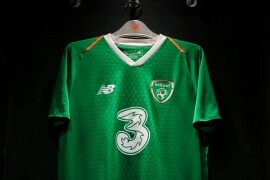 Overall if Nike want to be good speed boot sellers, then you got to step up your game, the vapor 3Â is quite possibly the best of them all so far, you need to design a boot like that once agean, the design on the vapor 3 was just simple and perfect for the beautiful game, this just doesnt look right. so glad nike finally went back to the simplistic style of the vapor III which is what everyone really wanted in the first place. I had a pair of SL’s, and they were probably the best boots I’ve owned, but I love the new (or old) low profile super light weight style which is what they should have stuck with instead of messing around with the gimmicks. Â Great boot. 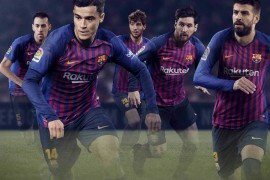 my favorite vapors were the iii’s and older… these have the same sleekness too them and the simple look is very nice, I cant decide whether to buy these or the black and volt ones that are coming out!! 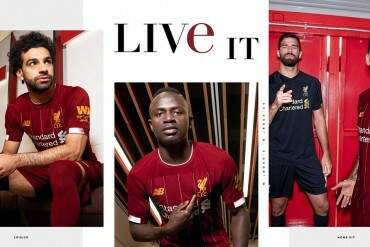 good job nike! Your really wrong about the Adidas being all crappy an that they only focus on light weight which is a lie. 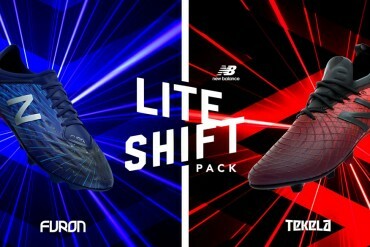 Nike cares more about lightweight than Adidas, and nike cleats are actually the ones that get worn out faster than Adidas. Nike cares a lot about lightweight because all the shoes that they have now is really light with good feel of the ball, but the only problem is that in 2 months they start to rip from the top. Both brands are good but they both have some problems, just because this brand had this problem doesnt mean the other brand is better ALL BRANDS HAVE PROBLEMS NOW GET THAT IN YOUR GUYS HEAD!!! people does a weight of a shoe really matter that much?? Why dont the just re-release the vapour II IMO the best vapour ever! 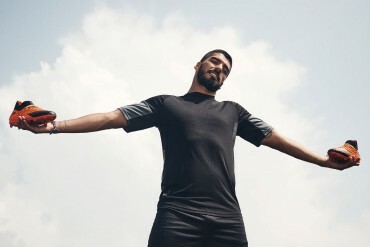 agreed withÂ Samakafuzzy, nike have just admitted that all of those previous crap was not needed. 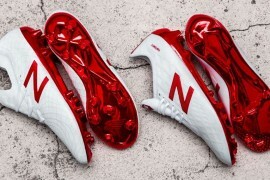 within the four popular silos, imho speed boots is the weakest in terms of actual advantage given to the players; ex: heritage would always give players the best leather quality, nuffsaid here. power comes in close second with advantage from more material protection that comes with its extra weight, or control that usually give better boots to ball contact with its gimmicky upper. 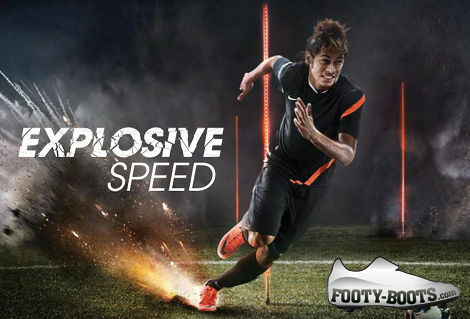 the best thing that speedboots does is giving psychological advantage; we pick up the super light boots and believe that we could run faster. vapor series has stoop down so bad, all nike have right now is loyal fanboys that will buy vapor anyway whether it’s good or bad. may as well as gave up to the lightweight trend, who knows they could steal a percentage of the popular market with the cheaper price and their big name. 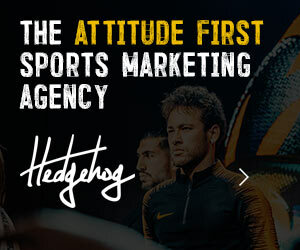 PS: nike’s worst mistake would be ronaldo’s signature line. if i look at beckham, at least he’s wearing his own signature line. 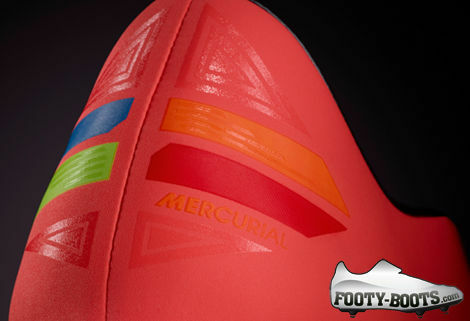 Pingback: MERCURIAL MADNESS: VAPOR VIII HITS THE PITCH! 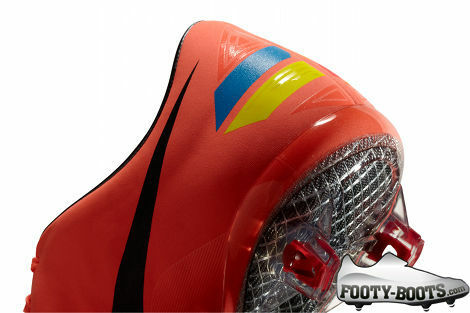 Pingback: NIKE MERCURIAL VAPOR VIII VIRAL: RONALDO VS. NADAL! 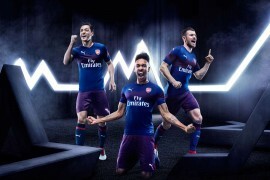 Pingback: OZIL IN SHOCK ADIDAS SWITCH? 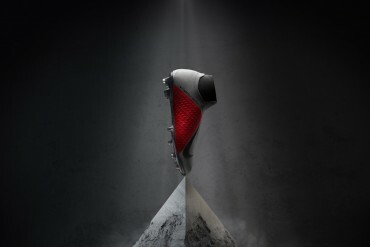 Pingback: ARE HYBRID STUD FOOTBALL BOOTS DANGEROUS?